Following on from Alana's comprehensive grading post, she's now generously sharing a post solely dedicated to the Full Bust Adjustment (FBA). Again, I'm sure you'll also be able to take these principles and apply them to other projects in the future! 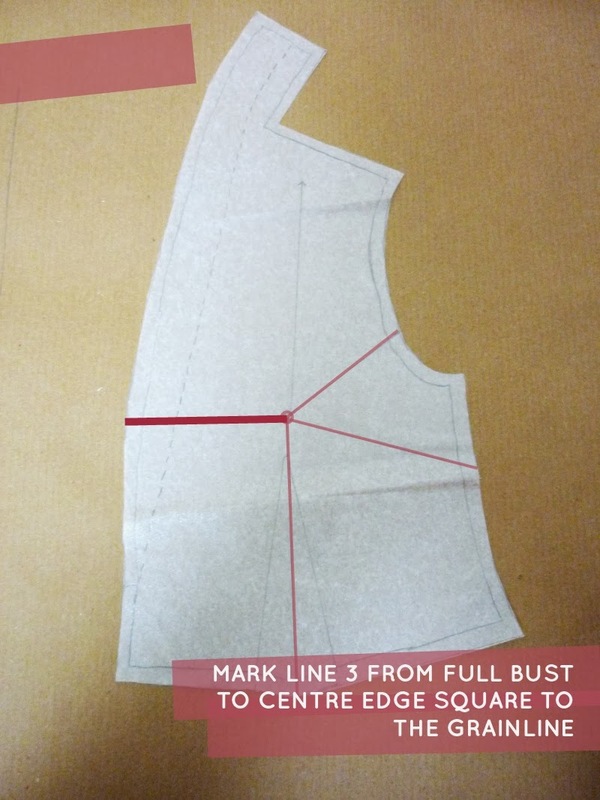 This one is for those who need a little more room at the bust only. 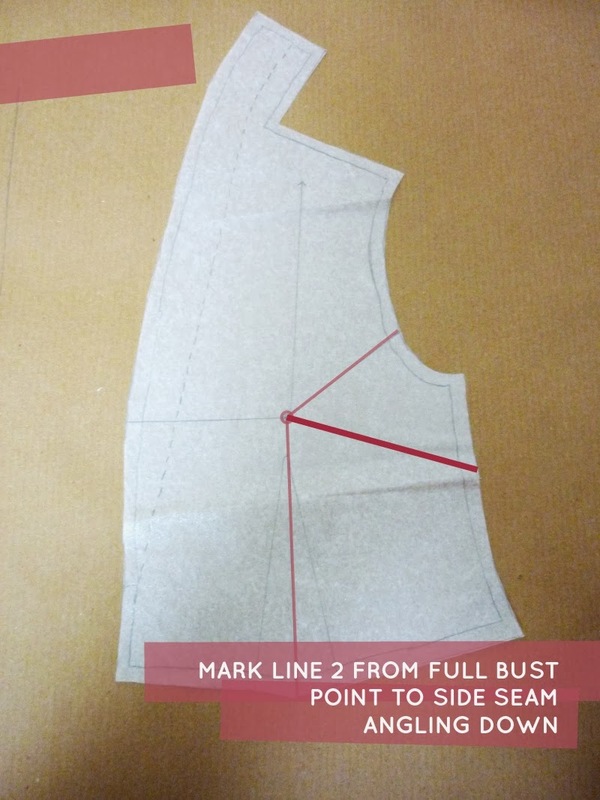 Generally if you are larger than a B-cup or if your muslin shows pulling at the bust, a full bust adjustment could be an option. 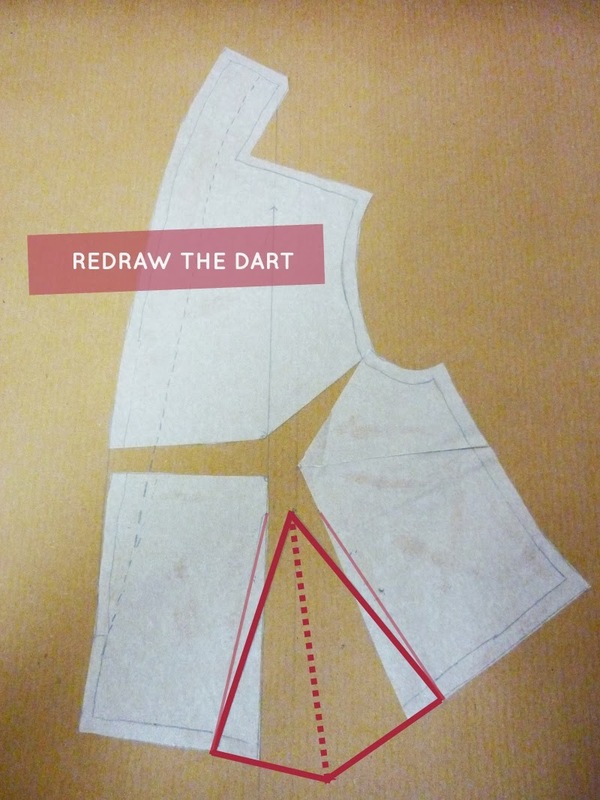 Here's how I made my FBA on the Dakota pattern. 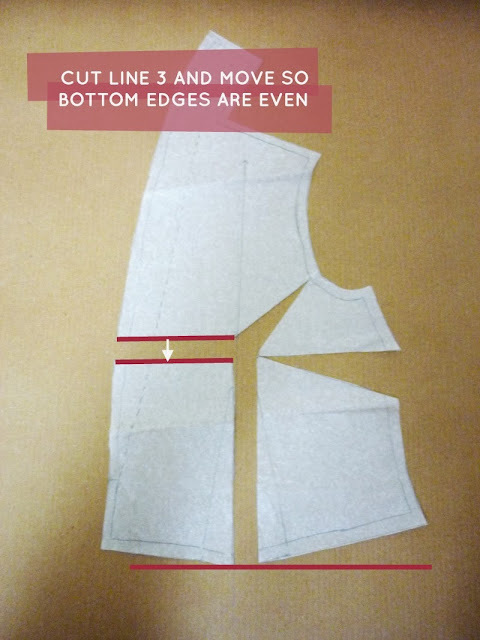 First choose your cutting size and FBA amount by taking your upper-bust measurement - see this post if you haven't done this before. Trace off the bodice front, grab a ruler and start by marking the three lines you need to make the adjustment. 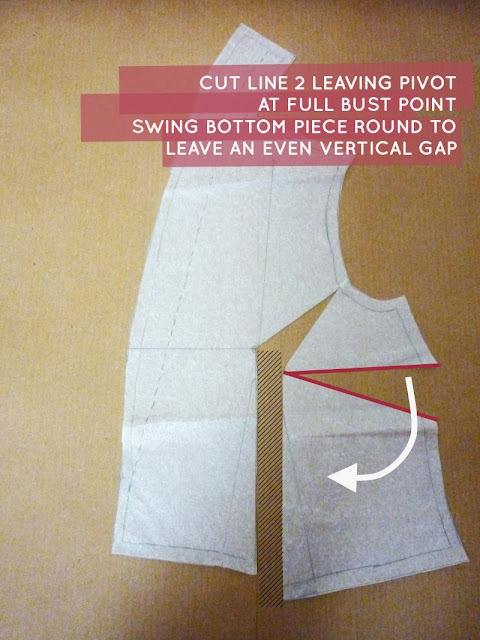 Stick the pattern piece to a flat surface at the shoulder so it doesn't wiggle around then make the first cut. 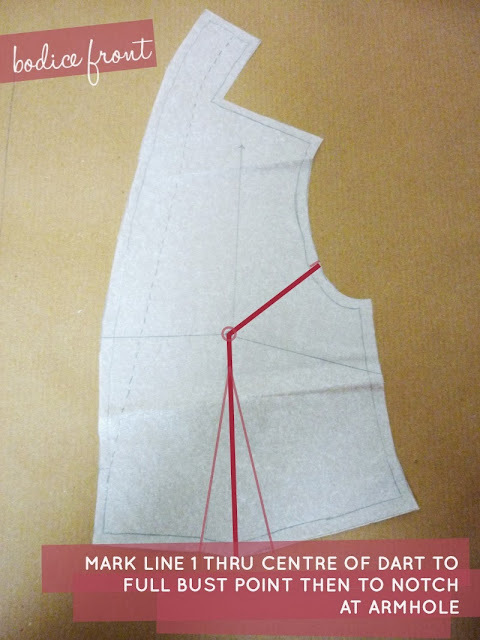 Leave a little hinge at the seam line - this ensures we don't make the armhole bigger and the sleeve will still fit in. At this point you could fill in the gaps and have a bodice with two bust darts - one going to the side seam and one going to the waist seem but if you want to keep the original design lines you can close that side dart back up which is what I ended up doing. 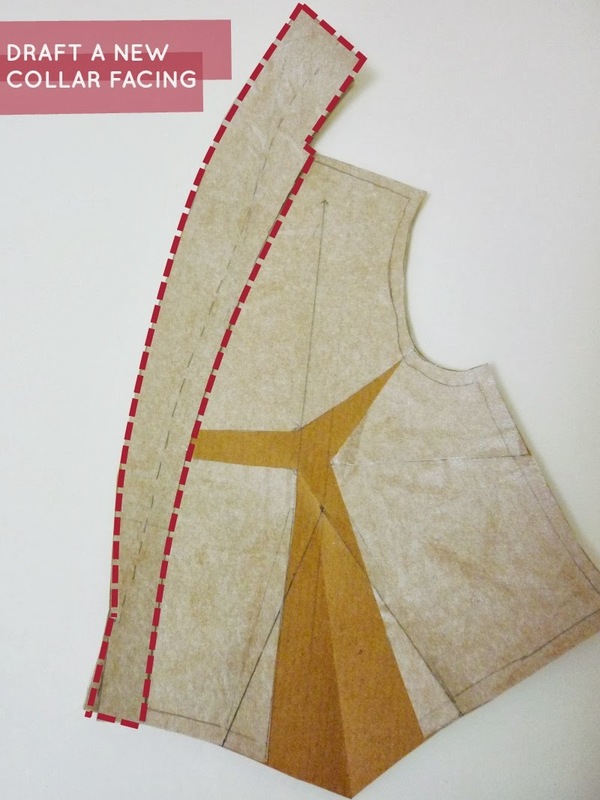 At the same time I made a little adjustment to help stop the gaping you get when you have a low cut or wrap bodice and a large bust. I wasn't sure whether to include it because it's not really a technical thing - just something I've figured works for me through trial and error. 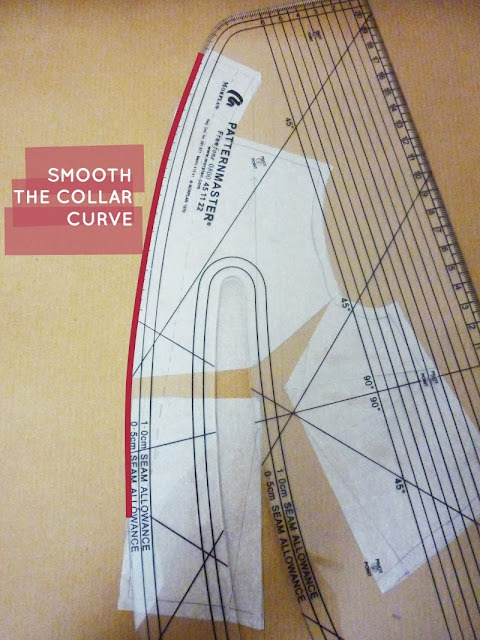 I just took a small amount of length out of the collar edge - about 1-2cm. If you've ever tightened the ties on a wrap top - it has the same effect. 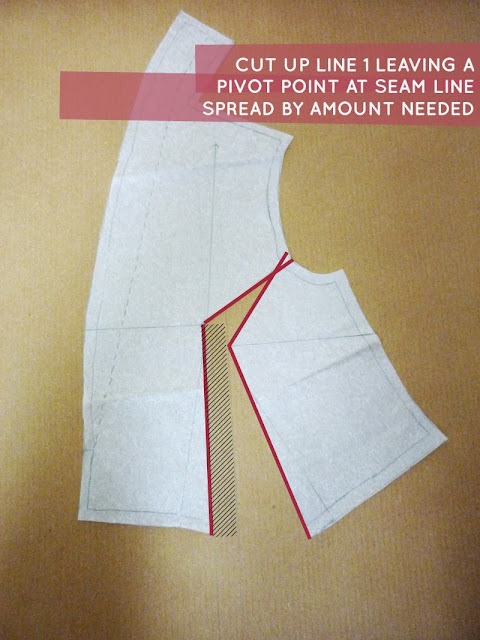 Smooth out the collar edge and re-draw the roll line. To mark your new dart find the centre point by measuring between the two end points of the old one. Join this point with each of the legs. 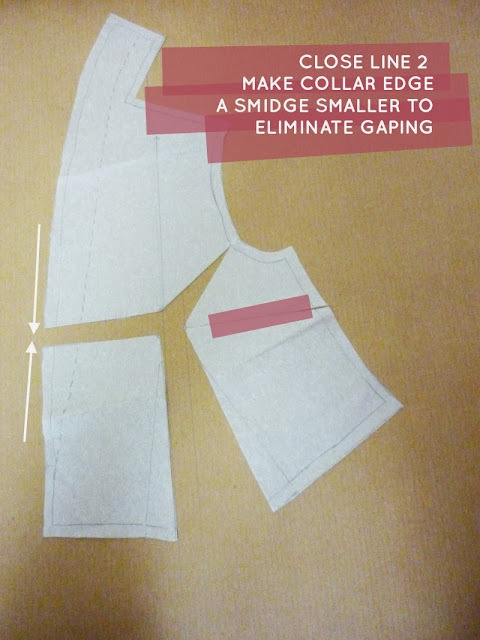 Don't forget to trace off a new collar facing too! Alana, Rachel and I can't thank you enough for your invaluable contribution to the Dakota Sewalong...you're an absolute gem! Friends, if you've yet to check out Lazy Stitching, you're missing a treat! I'm not sewing the Dakota but this was the BEST illustration of an FBA that I've seen. Thank you! Thanks for saying so, we think Alana's amazing too! So glad you've found this helpful! Thanks so much for sharing Tanya!